It’s every parent wish to liberate their kids from boredom when they are still very young because hardly will you see kids with peer pressure at this early stage. In doing this, the parent provides an interactive buddy (a baby robot toy) for their kids to engage them in whatever they are doing. Baby Robot toys are robotic toys which creates a child-friendly environment and engaging activities for the kids. They are seen as kids’ best friends in their early life. They can follow the kids around and perform series of simple tasks which can positively impact the kids’ upbringing. It is a well-known fact that babies feel happy and like to be around people that engage them in different activities. The importance of robot toys in the early life of babies cannot be overlooked because they influence babies upbringing and as well as other benefits that are listed below. It ignites the kid’s imagination while creating hours of fun for them. It creates engaging activities for kids and thus makes them feel smart, loved and happy. It is an avenue for kids to know about scientific principles. Kids learn how to relate to the technological work in their environment when they play with robot toys. It improves their motor skills and makes them learn about how batteries and machines work. 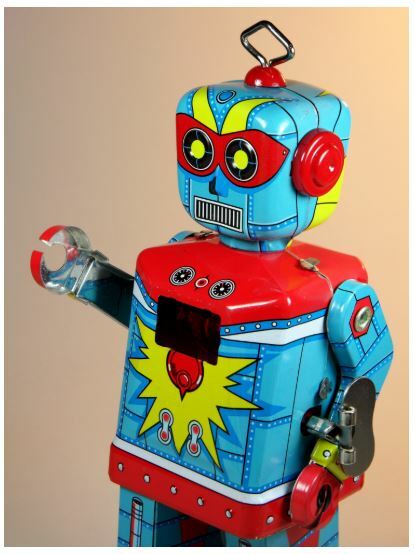 Robotic toys improve kids’ intelligent quotient (IQ) and their performance in handling toys. Kids can learn how radio waves control robot toys. Now, let’s have a look at some baby robot toys which you can get for your child. With the instruction guide and Construction blocks fully packed inside its box, your kid can assemble an impressive motorcycle or remote control car easily by carefully following the instruction. The toy comes with remote, RC receiver, building blocks and two motors powered by the batteries in the receiver. It is an exciting educational toy that helps improve child’s minds, cognitive skills, patience, and concentration. It creates a friendly atmosphere for kids. It is recommended for kids between the ages of 5 – 6 years. The package does not come with batteries. You will need to get 4 * AAA and 2 * AA batteries for it. CHiP is an affectionate, friendly, trained robot dog that entertains kids and keeps them busy. CHiP is always active, ready to play and make the environment interesting for your kids. The CHiP robot is compatible with Android devices and iPhone, and you can download the app from your App Store and install it on your phone. You can control the CHiP behavior using the smart band option so that it recognizes you quickly and follow you around. Some of its features include smart bed, smart band, and trick guide, option to rename the dog, remote control feature, smart ball, and feed the dog option. It is recommended for kids between the ages of 6 – 15 years. The robot toy is a multifunctional one which can also create an entertaining interactive session with other robots by pairing with them. Some of its functions include spin, voice recording, APP wireless control, reply, pairing, and interaction, move forward, music and voice. The APP wireless function is used to control the robot and also, it responds to sound like knocking, clapping or tapping. With the music and sound effect features it possesses, the Rabing robot can record your voice and play it back for you. The small robot is portable and smart; you can take it anywhere. The environment highly influences the robot response to clapping or tapping. COJI is a fun-filled and exciting robot who guides kids on the fundamental of coding with emoji. The robot makes kids laugh with his humorous reactions to a problem involving trial and error approach. It also helps kids correct their mistake for future purpose. Kids like to drive COJI around after the lesson just to have fun and make their day fun filled. They connect the robot to a compatible smartphone or tablet, and they use these devices with the remote control. It is recommended for kids between the ages of 4 – 7 years. Ciftoys is recommended for kids from 3 years upward. Alien Toy is an exclusive robot toy for kids which helps to improve kid’s creativity and imagination. High-Performance Motor powers the robot and comes along with an instruction guide to make its assembling easy for your kids. With the build-up sets such as puzzles, manual and motor for action package inside its box, your kids can assemble an ultimate creature which includes connectors and classic rods, by following the setup guide in the manual. It will require 2 AA batteries for it to function. Adults are also attracted to the Alien toys because it is fun and as well improves parent to child relationship. Alien toys are recommended for kids from 3 years and above. The Dimy dancing robot is one of the best gifts your kids will gladly accept from you. Dimy gives kids to enjoy and bring out the best in them. The robot has some attractive features such as singing, dancing, glowing, moving and turning around, which interest kids and keep them busy for hours. The Robot keeps the kids entertained as it displays nice dancing steps by moving its legs and arms to suit the song being played. It also spins at 360 degrees with lots of sparkling light and attractive colours. Kids are always attracted to the robot’s excellent display, and they tend to involve them with the robots by dancing and imitating the robot. It will require 3 AAA batteries for it to function. The Dimy dancing toys are recommended for kids from 24 months. The robot toy is developed by a Hi-Tech robot, and it is named COCO. COCO is an intelligent and entertaining humanoid robot that is very good at dancing and singing. It comes with five different songs which include Angelina, Smooth criminal, That's not my name, Party and Can't get out of my Head. It can talk and perform different tasks for you when you place the object tray. The robot comes with instruction manual, tray, USB charging cable, and also it is equipped with three control modes which you will use to control the robot. These control modes include touch control mode, remote control mode, and newest sound control mode. COCO is recommended for kids from 3 years and above. BeatBo is a large, multicolor LED grid tummy that encourages baby to shake, dance, move, and help to exercise gross motor skills. It is a multi-functional tummy that helps the kids learn dance moves, grow smarter, and active. It requires four alkaline AA (LR6) batteries for its function. BeatBo is recommended for kids between 9 months and three years of age. Customized Sing-Along: BeatBo allows the kids or mom to compose and record a phrase and he will repeat it for them. Learning and games: It improves learning in kids by introducing them to counting, ABCs, colour and more. VELCRO is an innovative Construction block that enhances manual dexterity and hand-eye coordination in children. It improves child’s cognitive skills, creativity, and learning skills and gives them hours of fun. The Construction set connects quickly, therefore, making it easy for the kids to build and rebuild to their satisfaction. VELCRO robot builds the confidence in kids as they practice continuously new structures and designs. The foam blocks are designed for small hands to hold conveniently. It is recommended for kids between 36 months and 15 years. Robot Harry is an electronic pet dog that creates an entertaining environment for your family. The dog is a sensitive toy that responds to touch, chase, walk and other fun activities within the surrounding. Harry is almost 6 inches tall and more than 7 inches long. The kids get entertained with series of the display from the pet dog and the unique features of the dog body. The dog sings and dances when you touch his head, makes sound and laughs when you touch under his tail. It runs away by saying “Oh no stop it” when you pull his tail, and finally when you touch his nose, he responded by saying “Oh no, who is touching my nose.” Isn’t this funny and amazing. It is recommended for kids between 24 months and seven years. Pre-schooler is one of the best robots to acquire for your children to engage them and improve their skills in Construction and building of fine motors. It brings out the creativity in kids. The robot builds with arms, swiveling head; the upper body has unique features which include fifteen multi-colored bolts, screwdriver, etc. The motor strengthens hand to eyes coordination in kids, and the twisting of the screwdriver develops the kid's fingers and hand dexterity. It supports STEM learning which in turns introduce kids to tools that can enhance their interest in engineering. The drill robot is recommended for kids between 36 months and ten years.